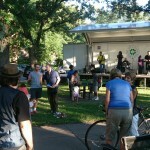 On August 11, the Center for Earth, Energy and Democracy (CEED) participated in a community celebration in Minneapolis joining with Glendale residents and neighbors to celebrate protecting their homes from redevelopment. 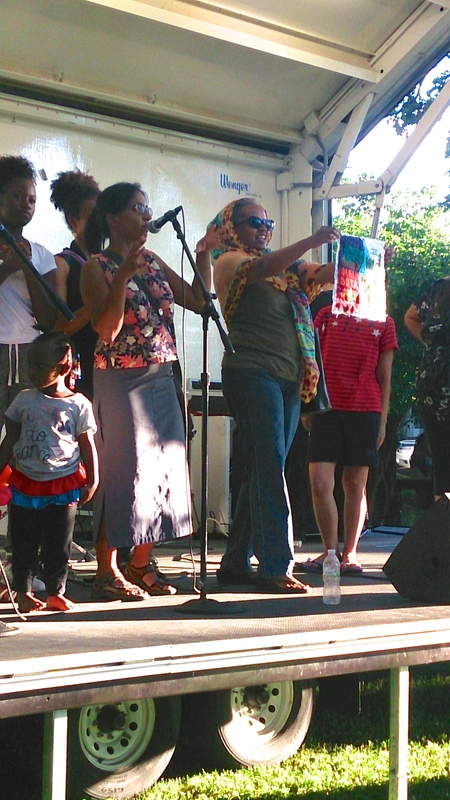 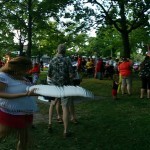 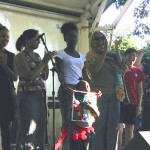 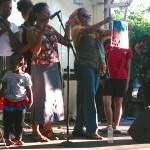 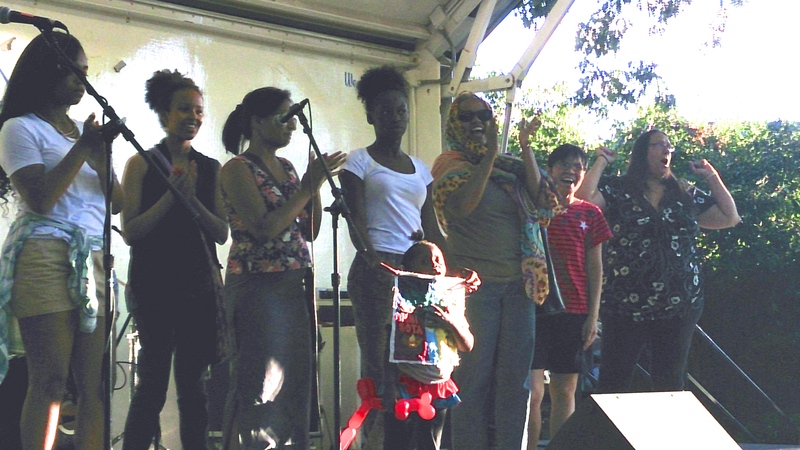 The Prospect Park Neighborhood residents and supporters of Defend Glendale came together at a community concert with Reggae, Calypso and Latin music at Luxton Park. 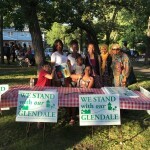 CEED has been working with Glendale residents to hear their stories and support strategies that protect their community from displacement in the face of privatization of 13 acres of public housing town homes. 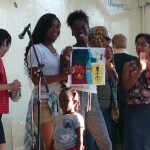 CEED is highlighting their story as part of our quilt patch that is our contribution to a nationwide quilt relay with the Climate Justice Alliance. 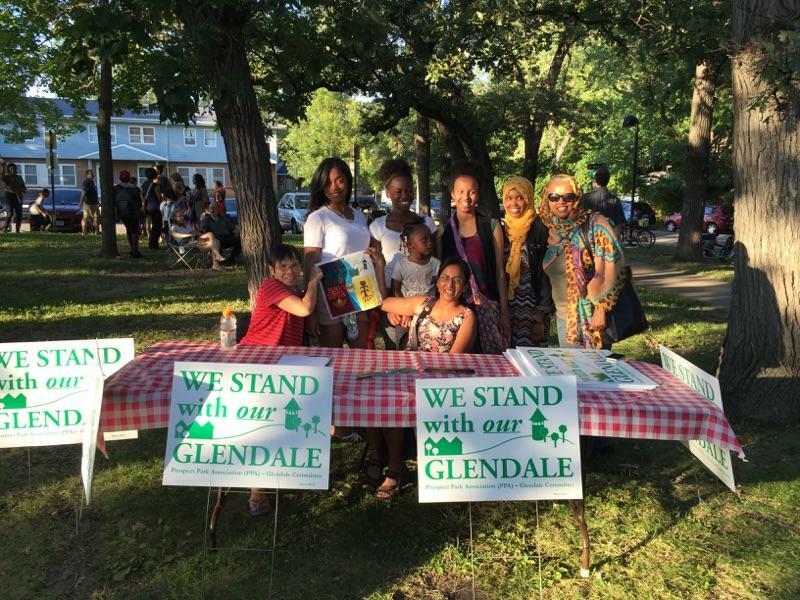 CEED sees Glendale as a core environmental justice issue that centers around the question of who benefits from sustainable development in Minneapolis and who bears the burden. 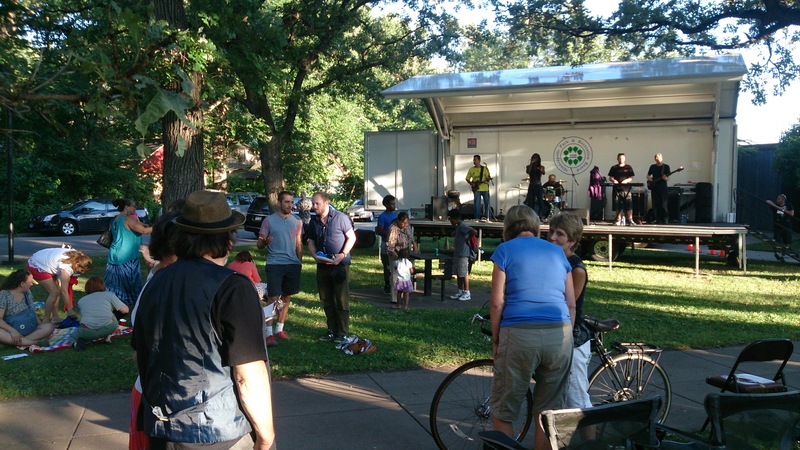 We will continue our work with residents to develop alternatives for the housing project that utilizes energy efficiency, renewables, and green space planning that fits with the community’s vision of a resilient, place-based community. 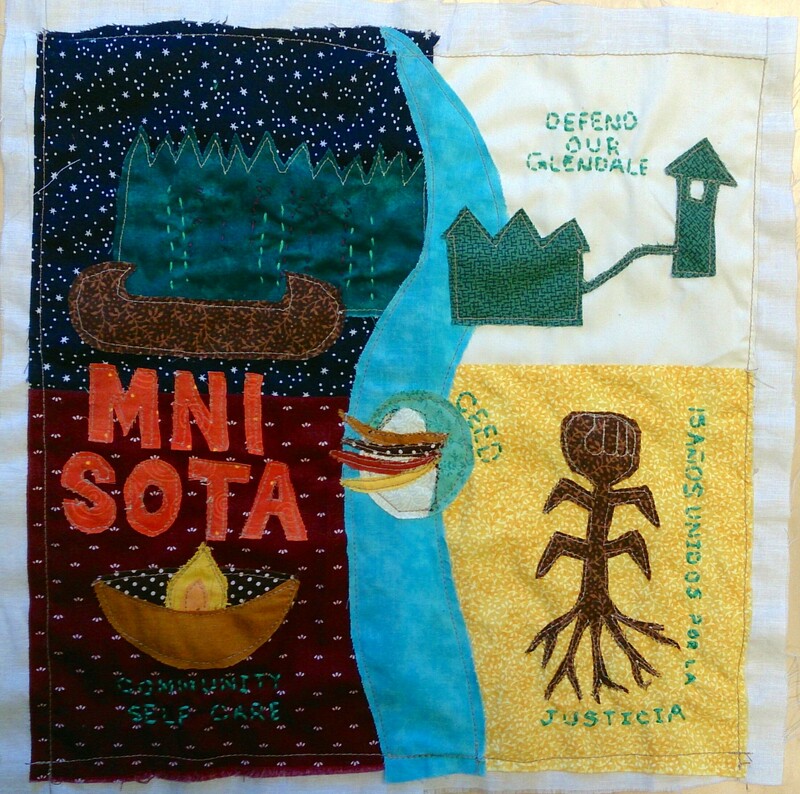 We are proud to share this quilt square in solidarity with other communities fighting for a shared vision of justice in our future. 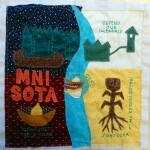 The patch designed collectively by CEED and community allies incorporates elements from multiple struggles around Minnesota. 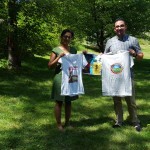 We recognize our community as originally Dakota land Mni Sota, and through the medicine wheel colors around the Mississippi River, we highlight some of the work being done: the fight to defend public housing for hundreds of immigrant families at Glendale; protecting traditional Anishinaabe wild rice fields from mining pollution and pipeline development; a Dia, a lamp symbolizing the spirit and resilience as communities together fight the crisis with self-care; and a corn stalk representing rural migrant communities celebrating their 15th year of organizing with Centro Campesino. 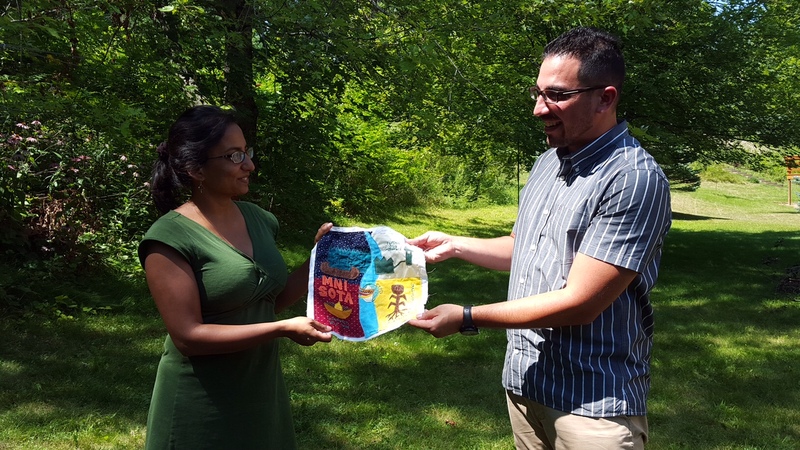 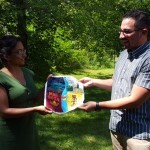 CEED’s quilt square will share their stories as it travels down to the Hurricane Katrina 10 year commemoration march in New Orleans, as part of the Climate Justice Alliance, connecting our local struggles to other frontline environmental justice communities around the country. 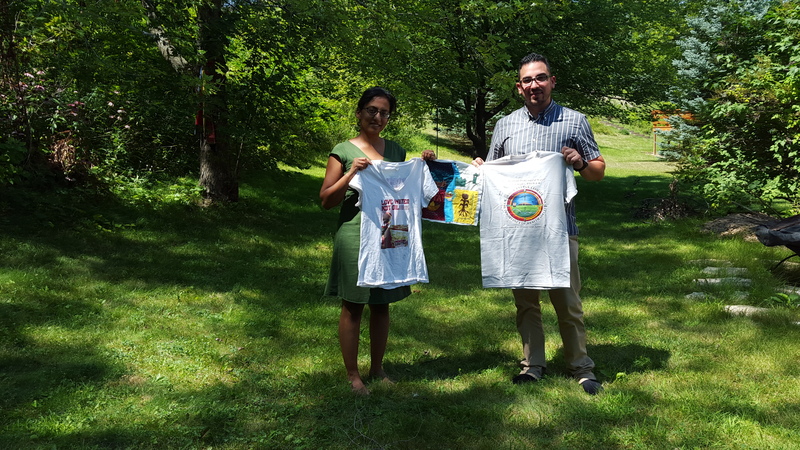 CEED passed this square with others from IEN and Honor the Earth to our partners at LVEJO in Chicago as the quilt relay makes its way south where they will be sewn together. 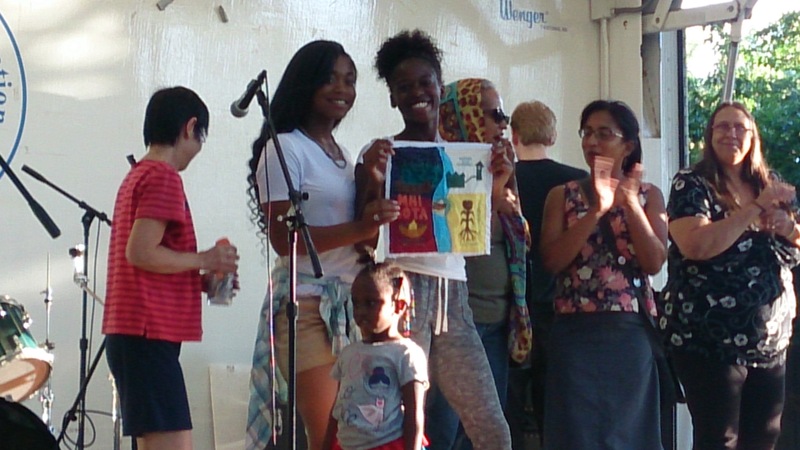 For more information about the quilt relay and to view other contributions from around the country, visit the Climate Justice Alliance website here.